Thanks to the folks at Photo card creations, I am able to giveaway a $50 gift certificate to one of my readers. Just in time for the holiday season. Photo Card Creations is a leading online retailer of premium custom photo cards, announcements & invitations. They specialize in wedding, baby & holiday cards. They offer hundreds of Card Designs & a variety of Paper Types to choose from, many of which are hard to find elsewhere. Their cards are printed on the highest quality paper using leading edge printing technologies. With a professional graphic designer personally handling each order, they offer a more hands-on approach to customer service than many of their competitors. 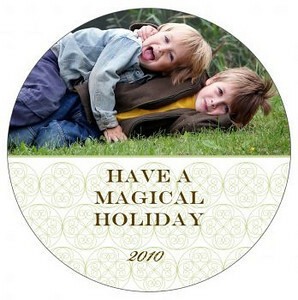 They’ve added dozens of new Photo Holiday Card designs for the 2010 season, including their unique Die Cut Ornate &Scallop shaped cards and their cool Circle Ornament Cards. Check out the lovely ornament cards. You can add your own pictures and pick from a variety of papers and fonts. If you are more traditional, you will love the shaped cards. Read my review on the quality of their cards. 1. 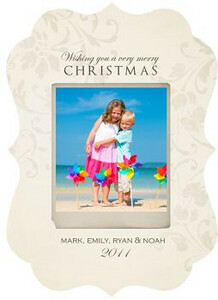 Head on over to Photocardcreations.com and tell me what holiday card you would like to get. You must do this first and leave an email. Follow me on GFC +2. 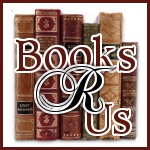 Like Books R Us on Facebook +2. Contest ends Wed 11/3 at 9AM Eastern. Great giveaway. I really like the Square Triple Ornament Folded Card. I also follow using GFC.